Carson City is a real city now. No, really. 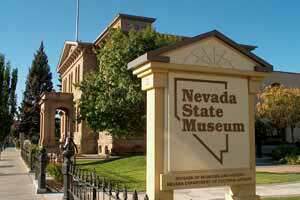 Carson City is more that the State Capitol, the State Museum and the State Prison now. There are lots of ways to measure this, but in my mind the true mark of a city is whether or not you can do all your Christmas shopping there. Amazingly perhaps, if you haven’t been paying attention, Carson City qualifies. 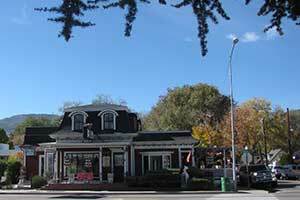 There are brand name box stores clustered here and there in Carson City now, along with a zesty sprinkle of smaller shops downtown. 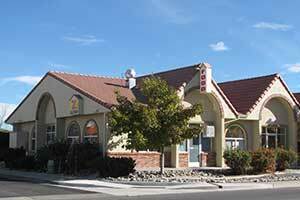 There have been fine restaurants in Carson City over the years, but not very many at a time. Now there are at least a dozen excellent choices, worthy of accolades anywhere — more than enough if you’re just visiting, three or four of which will become favorites if you move here. 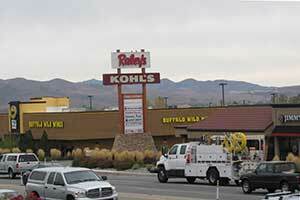 My personal ‘Top 10’ faves in Carson City are marked with an asterisk. More than that, there are meals awaiting that you’ll describe fondly and in detail when you get home, and as I have pointed out before, Carson City is no longer a one-martini town after dark. On top of that, there are hotels! 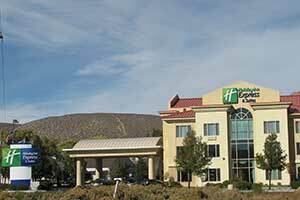 In living memory there have always been motels in Carson City — it’s at the junction of US 50 and 395 — but hotels have been scarce since the 19th century. Now along with the motels, they welcome a growing number of visitors from eastern Nevada who make regular pilgrimages to Costco, Trader Joe’s, Home Depot and Lowe’s, stay overnight in comfort and go back home to Elko or Austin or Ely with a quiet glow of satisfied self-indulgence. 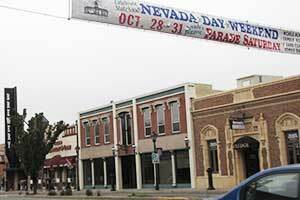 Who knew you could come to Carson City for the fun of it? 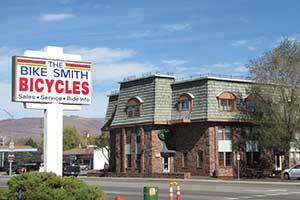 We’ll start at the far south side of town, about a mile past the junction of US 50 with US 395 where there’s major shopping on the west side of the road: Wal-Mart, Best Buy, Bed Bath & Beyond, Michael’s, Marshalls, Petco — you get the idea. As I see it, the star of this show and a modern pioneer is Trader Joe’s. I like Trader Joe’s because I always feel as if I’m shopping for a party even though I’m almost always not. 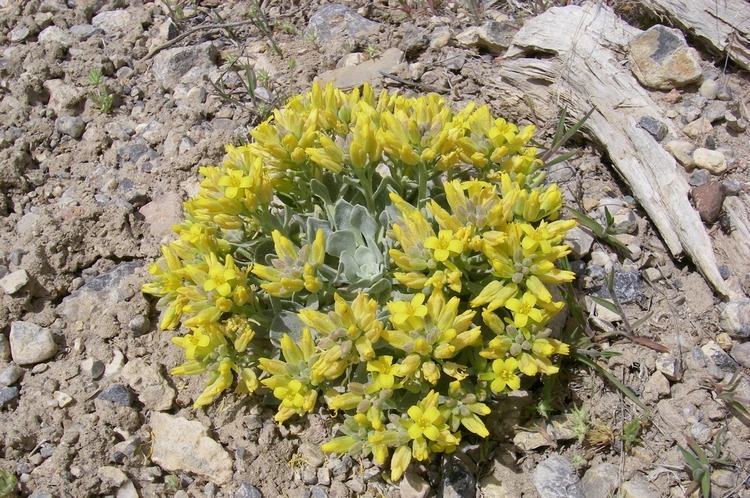 I think the Trader was a pioneer, and his arrival marked the first flowering of this new Carson City. The local In-n-Out Burger is also here as reason #2 to pull in. 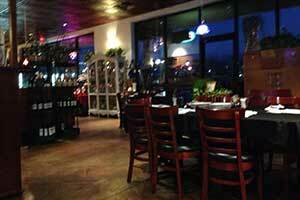 And less than another mile to the south is Khristopher’s Ristorante*. It’s actually across the line in Douglas County but we claim it for Carson City anyhow; watch for it on the right as you go down the hill toward Mica Drive, and turn right when you get there. 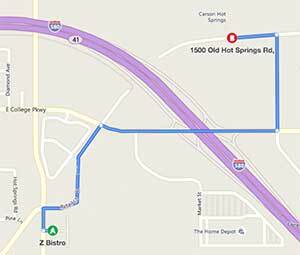 Khristopher’s is as far south as we go, so now we’re turning around and heading back up the hill and into town, heading north past that big shopping center on the left, past Bodine’s — Costco is a short distance to the left up Clear Creek Road — and the junction with US 50 is just ahead. Just beyond is an agreeable cluster of attractions: the Galaxy movie theater, the full-service Casino Fandango and a Courtyard by Marriott hotel. 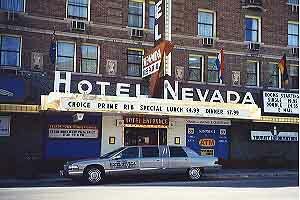 I’d stay there if I’d driven in from Ely or Tonopah craving a taste of city life. It doesn’t get more urban than this is Carson City. We continue north, car dealers to the left of us, shopping to the right. Watch for El Charro Avitia* on the right. There’s a new Peg’s Glorified Ham and Eggs next to the Raley’s. Ahead there’s an Applebee’s on the left and Grandma Hattie’s on the right, and then the Nevada State Railroad Museum on the left, one of Nevada’s greatest attractions. This is a true treasure house, and provides a unique experience to visitors. Fairview Avenue is the dividing line between the southern outskirts and the city itself. A left turn puts you into the Railroad Museum; take it before you go home. A right turn puts you on course for the 395/580 Freeway to Reno; don’t take it until you’re ready to leave. Ahead on the right is the impressively large Sportsman’s World with a Bealls store right next door and the The Bead Store a bit to the north of that. There is a cluster of small restaurants around back behind the big stores on the Stewart Street side. Next on the right is the Bistro at Tahoe Ridge, just beyond that is Red’s Old 395* and across the street from both of them is the Wyndham Gardens Hotel with the Max Casino inside. And just north of that: the Ormsby House. Aha, you might think as you approach the closest thing Carson City has to a high-rise hotel, maybe I will stay there tonight. Not this trip, you won’t. The Ormsby House is in a state of arrested renovation. I’m told the owner is paying for the work from cashflow from another business rather than borrow money to do it. It has been closed for — is it ten? 15? — years so far, although each year on the appropriate date, the minimum number of slot machines (2) are wheeled into the empty casino floor, declared open for business and someone puts a nickel into each one and pulls the handles. Thus is the gaming license preserved. North of Fifth Street we are entering the heart of town. On the right is the Legislature building and the State Capitol within the thickly forested Capitol Plaza grounds. The most recently planted of these trees, a scented cedar, commemorates the state’s 150th birthday in 2014. The Capitol Building is an exceptional building and open to visit during the business day. You can spend an hour here, and you should, especially if you’re a Nevadan — it’s yours. Across Carson Street is a row of commercial buildings where the local flavors begin to emerge, vivacious and beguiling, right across the street from the stern stone temples housing our basic institutions of government. Comma Coffee* is in this stretch as are Firkin & Fox and Pop’s Diner, before government intrudes once again with more stone temples. 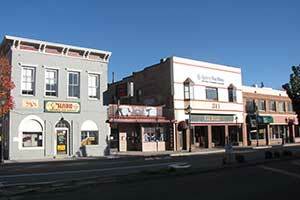 For the next several blocks there’s commerce on the west side of Carson Street and on Curry Street a block west. 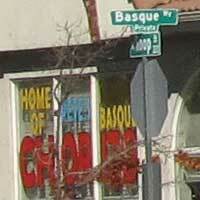 Food, drink and small shops in a stretch of four or five blocks. Telegraph Street is also busy with The Westside Pour House (the former Mo & Sluggo’s) and the Nevada Day Store, both on West Telegraph Street. 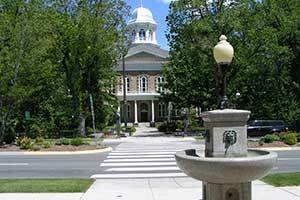 You’ll want to come back here and park so you can stroll and explore old Carson City in this New Age. 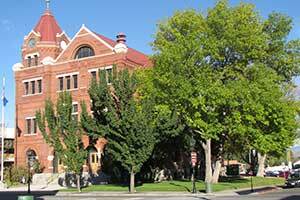 On the east side of Carson Street there’s the brick Carson City City Hall and then three of the city’s most popular restaurants, Basil Thai*, Garibaldi’s Ristorante Italiano and Kim Lee’s Sushi & Oyster Bar on the corner. Just beyond them is the old Post Office, a late Victorian pile of bricks with a clock tower, now the home of the Nevada Division of Tourism, the state’s marketing arm for its largest industry. 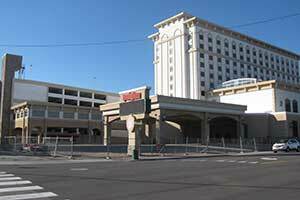 And just north of that is the Carson City Nugget, the first modern gambling venue in the city about 60 years ago. The parking lot across the street was once the Arlington Hotel, the grandest hotel of its day — which began with its construction in 1877 and continued until it was torn down in 1966. 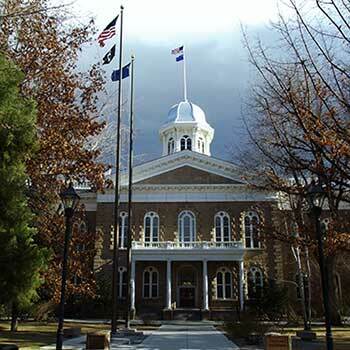 North of Robinson Street on the west side is the Nevada State Museum which occupies the former United States Mint — another reason you’ll want to spend some time downtown. And on the southwest corner of Washington Street is the Carson City Visitors Center, the perfect source of further information about local area recreation resources. The next several blocks are motel-heavy. Watch on your left for Heidi’s, quite popular for breakfast and lunch at the corner of William Street. Cast your gaze to the right as you cross William and notice The Cracker Box, famous for bigboy breakfasts. Adele’s*, a local shrine to human happiness (gastronomic division), is ahead on the left. We’re into motels here. There’s a shopping center at Winnie Lane with the San Marcos Grill and Bleu Cafe in it, both worthy of attention. A little farther north is Pho Country. Glen Eagles Restaurant and Lounge*, a highly regarded restaurant for 60 years, is ahead on the left, and farther still Mi Casa Too on the right. The Carson Tahoe Hospital complex is visible on the left ahead, perhaps accounting for the presence of the Holiday Inn Express and the Hampton House on the east side of Carson Street just before the Freeway at the north end of town. If you go that far, turn around and come back south as far as College Parkway; take it to the east as far as Roop Street and turn south. On the left just past the Wal-Mart/Home Depot complex you’ll see the popular Villa Basque Cafe & Deli for breakfast and lunch, and right next to it Z Bistro* for an exceptional dinner. There’s one more restaurant you should know about but it’s a little off the beaten path and you’ll want to bring your bathing suit too. Sassafras bills itself as an eclectic food joint and is located at Carson Hot Springs, a historic and locally beloved resort built around the pool and soaky tubs. It’s not so easy to find since the Freeway was built, so here’s a little map. 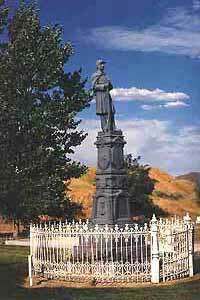 Return from this digression and continue south a short distance on Roop Street to the Lone Mountain Cemetery, which contains the remains of some of Nevada’s most prominent citizens, and is guarded by a cast-iron sentry. This is a pioneer burying ground of considerable interest. Keep going south, back into the city and have fun with what you’ve seen, learned about and grown curious about. My Personal ‘Top Ten’ faves in Carson City are marked by an asterisk in the text above. 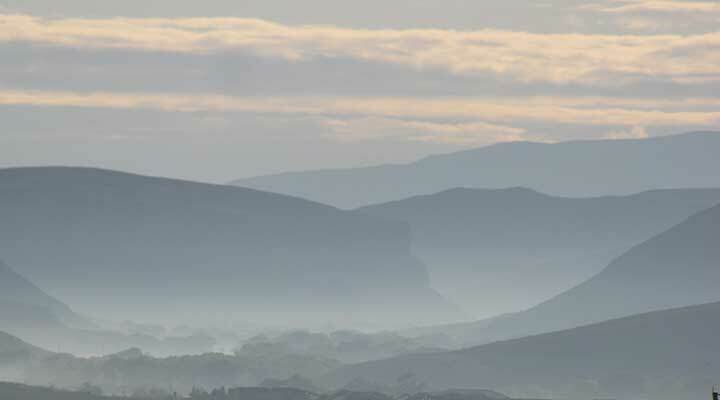 We welcome your Carson City recommendations in the Comments form below. 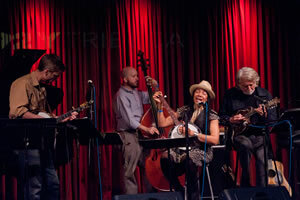 Robin and I were fortunate enough to attend the Boar’s Head Feast at the Eureka Opera House. Theater students from Virginia City came costumed in full medieval finery to serve the banquet and to perform skits and other entertainments for the assembled guests. We were encouraged to come in period costume, but my tights and ruffled neckpieces were at the cleaners and Robin’s wimple was showing its age so we came in civvies and had almost as much fun as if we’d dressed the part. We stopped in Ely on the way home, stayed at the Hotel Nevada in the Vikki Carr Room (#417) and glanced through the Guest Book left on the antique dresser. transforms from the beach to the slopes. A clamor of hopes and plans sit in the balance as onlookers glance skyward hoping for a nasty wallop from El Niño. So far this prospect looks promising. As of November 2nd, a storm bulldozed into the Sierra, bringing with it a much appreciated atmospheric river that delivered pillows of fluffy cold gems to all the resorts from North of the Lake to the South. 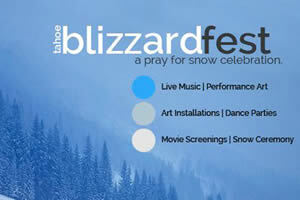 This timely gift from nature will no doubt boost the exuberance of the festival aptly named the “Tahoe Blizzard Fest – Pray for Snow” to be held at Tahoe Beach Retreat & Lodge on November 13th through the 14th. So far so good! 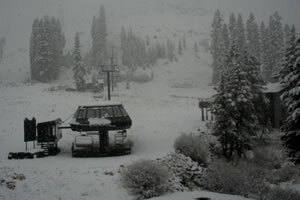 Images taken from Kirkwood Ski Resort Webcams, South of Lake Tahoe on November 2nd have shown atleast 14 inches of powering cold fluff, and another from Sugar Bowl Webcams to the North of Lake Tahoe hardly show anything except sky-droplets of water crystalline fun. 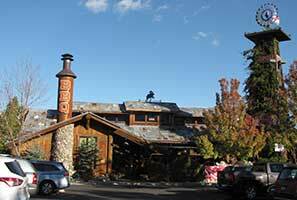 See to the Lodgings and Restaurants listed above as you plan your adventures to the Sierra Mountain’s this season. The outlook is looking rather good with El Nino setting up to smash the crest with as much high altitude frosty as been see in a many a year! 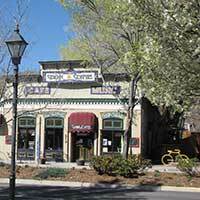 The Carson City area has a nice array of places to eat, stay and shop. Staying in Carson City will position you well to be the first on the slopes in this coming winter’s powder days. Make sure to consult the Locals for tips! 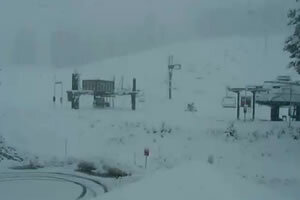 Click Here to view Sierra Ski resort webcams for a sneak peek. After the thrills of skiing, site seeing or visiting the seasonal winter festivities will cause anyone to generate a hefty appetite and that brings u to this next event at Jakes at Lake Tahoe. Jakes will hold a Thanksgiving Feast on November 26th that starts at 4:30pm and runs through 7:30pm. Click Here to view this event’s dinner menu. Also in Lake Tahoe on November 14th check out the Tahoe Arts Project Holiday Festival at South Lake Tahoe Middle School. 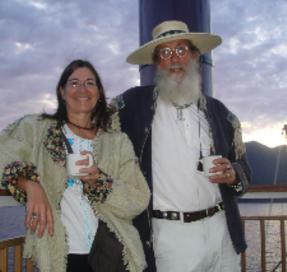 On the south end of Lake Tahoe is the Annual Valhalla Holiday Faire in The Magnificent Valhalla Grand Hall. The event is scheduled for November 20th at 5:30pm-8:30 pm, then on the 21st at 10 am-5 pm and on the 22nd, 10 am-4 pm . 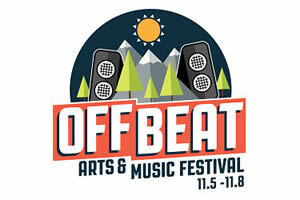 . . Reno will host the Off Beat Arts & Music Festival in downtown, midtown and the 4th Street corridor on November 5th through the 8th . 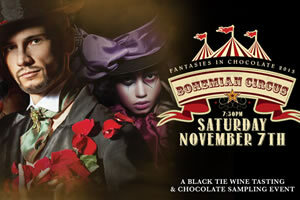 . . Dazzle your taste buds at Fantasies in Chocolate at the Grand Sierra Resort and Casino on November 7. An excellent event to get all your ski and snowboard gear in order is the Winter Wine & Ski Expo at the Atlantis Casino Resort Spa on November 19th, 6 to 9 pm . . . Carson Valley hosts a Free Veteran’s Day Spaghetti Lunch at the Carson Valley Inn that start at 11 am through 2 pm. Bring your appetite! 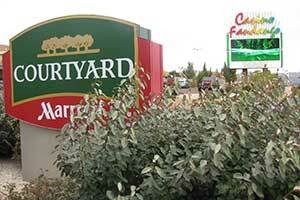 Later in the day goto the Main Street Mingle at the Overland Hotel in Minden, it starts at 5 pm . . . On November 21st in Gardnerville there will be the Young At Heart Holiday Craft Fair at the Douglas County Community & Senior Center. . . Way down south in Laughlin come out to the Freedom Fest Riverwalk Festival at the Colorado Belle Casino Resort on November 6th through the 8th . 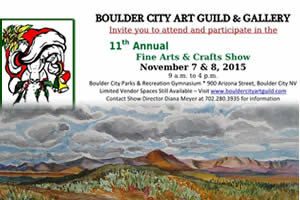 . . Boulder City’s Winter Artfest 2015 takes place on November 7th through the 8th in the Boulder City Recreation Center, admission is free. Click here to see the event flyer . 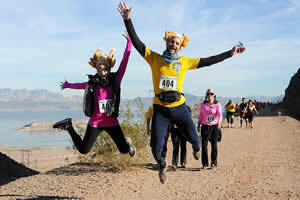 . . Boulder City also plays host to the Las Vegas Turkey Trot that runs 12K, 5K and 1 Mile segments of the Historic Railroad Trail-head that goes through “Six Tunnels to Hoover Dam” on November 26. Don’t miss the Bootleg Canyon Gravity Fest that begins on November 28th and runs through the 30th. In Las Vegas the Motor Trend International Auto Show will allure car aficionados and auto enthusiasts a two day event at the Las Vegas Convention Center. The event starts on November 27 and runs through the 29th. 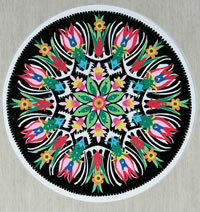 In south-eastern Nevada check out Pahrump’s Social Powwow on November 20th through the 22nd. . . In the east on Highway 50, Ely hosts its Annual Festival of Trees on November 30th through December 3rd . . . The Northern Nevada Railway will accommodate the winter season festivities with the Polar Express Train that is scheduled for three days in November, the 21st, 27th and 28th. Get your tickets now while they last! 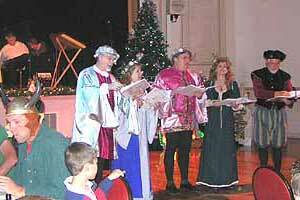 Following Highway 50 westerly to Eureka has a Holiday Bazaar at the Eureka Opera House on November 20th and 21st. 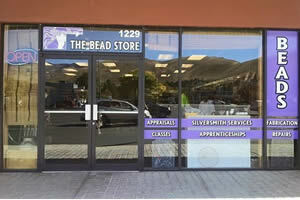 Call 775-237-6006 for further details . . .
Thomas the Tank Engine, loved by millions of children around the world, chuffed into Virginia City in late October and captivated the crowds that came to greet him. Thomas’s visit to the Comstock saw every ticket on every one of the seven daily trips down to Gold Hill and back sold out, and the three passenger cars of the antique Virginia & Truckee Railroad were packed full of joyful kids — and adults. 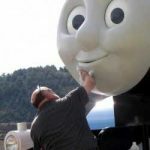 Like the countless children who adore him, Thomas needs to have his face washed from time to time. Thomas looks as he always has, and thanks to the lifelike animatronic face and mouth he was fitted with just last year, he can talk to the kids. We watched him talking to a mesmerized group of small children and moving his eyes from side to side, as they squealed with utter delight. 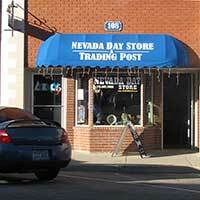 drive ftom Elko) for their Annual Fall Craft Festival on November 14th. 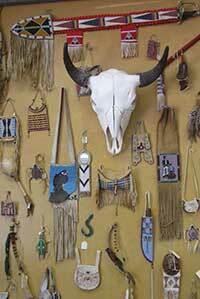 Wiegand Gallery at Western Folklife Center in Elko is celebrating 25 Years of Nevada Folklife Apprenticeships the event named, “One is Silver, the Other is Gold” is held between October 15 through November, ending on December 11th . . . On the Comstock, in Virginia City a locals favorite that honors men and women in the service, the Veterans Day Parade will be held on November 11th at 11 am – 1:00pm . . . On November 27th through the 29th join in on the fun on the V&T Candy Cane Express Train. To purchase tickets Click Here. Or for more information on the Virginia & Truckee Railroad call (775) 847-0321 or visits their website at VirginiaTruckee.com. . .